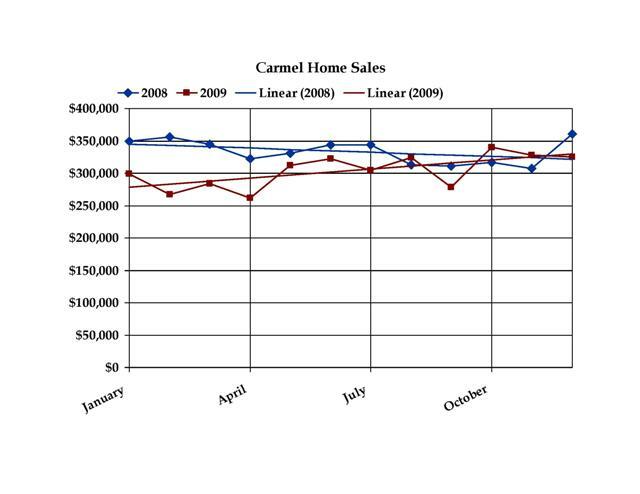 Carmel Indiana real estate market statistics indicate the last half of 2009 may be a turning point for home sales. 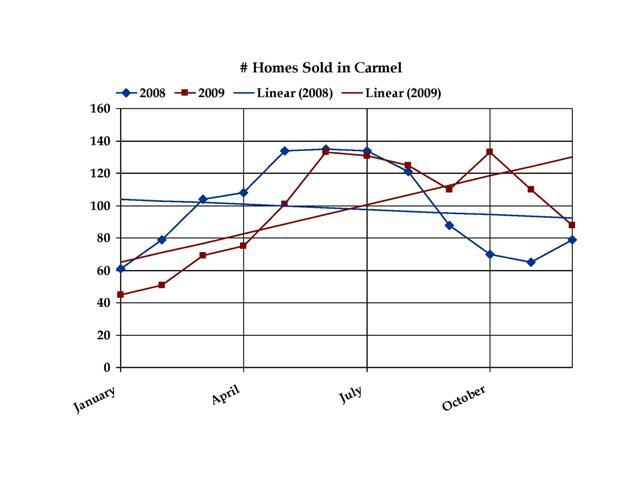 While home prices aren’t back to the average sales price of the first quarter of 2008, the average sales price is remaining steady and the number of home sales in Carmel is up. In the home sales report for the first three quarters of 2008 vs 2009, you can clearly see the average price decline to it’s lowest point in the first quarter of 2009. Highest Price Home Sold: $1,964,196. Is this a trend we will see continue for Carmel? We’ll look at the fourth quarter next month, but it looks promising. Graphs are a look at the past two years for single family homes and condos combined.